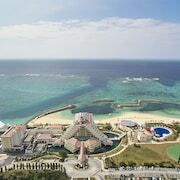 History buffs will enjoy exploring Okinawa, and visitors give high marks for the shopping and beaches. This culturally-rich city also attracts tourists with its museums. A top sight in the city is Ikei Island. Well known for its museums, the city's cultural venues include Naha City Museum of History, Tsuboya Pottery Museum, and Tsushima-maru Memorial Museum. The city is notable for its historic sites and landmarks like Shiseibyo Temple, Naminouegu Shrine, and Kinjo Stone-Paved Road. 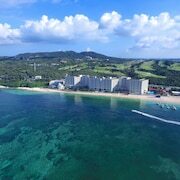 The city's natural setting is picturesque, including the beaches and these places to visit: Ikei Island, Midorigaoka Park, and Fukushu-en Garden. 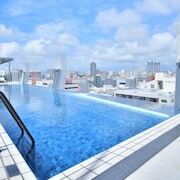 Condominium Felicita Naha - This 3-star apartment in Naha City Centre features free WiFi and laundry facilities. 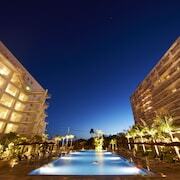 Expedia travelers love its quiet location and clean, comfortable rooms. 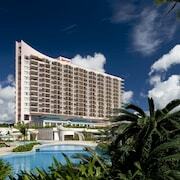 The White Reef - Our customers love the overall value and convenient parking at this condo. With a stay at this 3.5-star condo, guests can enjoy access to free breakfast and free parking, along with an in-room kitchen. 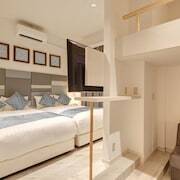 Cottage Seawind NAKIJIN - This 3-star cottage in Yonamine features free parking, a terrace, and laundry facilities. You can take advantage of metro transit at Kenchomae Station, Asahibashi Station, and Tsubogawa Station. If you'd like to explore around the area, you may want a rental car for your journey. 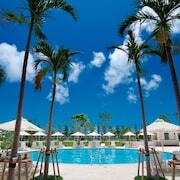 Explore Okinawa with Expedia.com.tw’s Travel Guides to find the best flights, cars, vacation packages and more!